Note: FYI, with the introduction of Thursday night games (we will have 18 this season) it is now near impossible with the work and list of things that I chose to do to have all game previews written and finished until late in each week, as we also have a Monday night game and final team lists not announced until a Tuesday afternoon. So that you are aware I re rate all teams after each round based on current performance, then re rate based on team lists, then look to handicap each coming game then consider a range of form and match up factors towards any potential bets before writing each individual game preview last. I will then be attempting to write previews for any game that a recommended bet has been made for first so that any key factors and reasoning is then known in advance. A local derby kicks off the 2016 Finals Series with the Broncos hosting the Titans in the 1st Elimination Final. Brisbane has a dominant record over the Gold Coast, winning 15 of the 20 clashes since the Titans entered the competition in 2007 and they have also won 9 of the previous 10 clashes at Suncorp Stadium, with the Titans only win coming in the 1st meeting at the ground. The Titans snuck into the Top 8 with 27 points (the lowest points tally to qualify since 2007) to make their 1st Final Series since 2010. Regardless of the result, it’s been a successful season for the Titans, who were favoured to win the spoon prior to Round 1. They have been there or thereabouts for most of the season regarding a Finals spot, with a season high of 3rd after Round 1, while their lowest position was 13th in Round 9. The Titans finished the regular season with an 11-12-1 record and were ranked 8th in attack and 9th in defence. They dropped just 1 game from Rounds 19 to 24 before losing their final 2 matches. They have struggled against the Top 8, with just 2 wins from 11 matches and the last of those wins was way back in Round 11. The Titans have been the equal Number 1 betting side ATS, covering in 16 of their 24 matches, including 7 of their last 8 as a road dog, 11 of their last 13 with a start and their last 4 as a double digit outsider, but they have covered in only 1 of their last 4 against the Broncos. In TMP’s they are 13-11 Under, with 5 of their last 6 finishing that way, while 7 of the last 9 clashes with Brisbane have also gone Under. Only once in the previous 13 clashes between the Titans and Broncos have the TMP’s totaled more than 40 and not once in those 13 meetings have the Titans scored more than 16 points. The Titans are a perfect 8 from 8 when converting a half time lead, but have won only 2 of 11 when trailing at the break and only twice in the last 10 clashes with the Broncos have they led at half time. They have scored 28 of their 88 tries in 2016 through their middle 3rd, which is the most of any side, with Ryan James accounting for 11 of those and he ranks 2nd behind Anthony Don as the Titans leading try scorers. Titan’s matches have the lowest average in the competition for the time of the 1st try being scored and in 9 of their last 10 matches, the 1st try has been scored by the 7th minute. The Broncos are again short priced favourites and have won 9 of 12 at home from that position in 2016. They come into this match off the back of 5 consecutive wins which saw them finish 5th with a defence and differential that also rated 5th, while they finished 6th in attack. They have won 10 of 13 at Suncorp Stadium this season and their last 7 wins over the Titans at the venue have all been by a margin of 13+. The Broncos have also won their last 5 Finals matches played at the ground. Brisbane ended the regular season with an 11-13 record ATS, with a 7-6 cover record at Suncorp Stadium, while they have a 9-5 cover record at the ground since 2014 when laying more than 10 points. The Broncos have also covered in 3 of their last 4. Brisbane are 13-11 Over in TMP’s and have had Overs results in 5 of their last 7, while 4 of their last 6 Finals at home have totaled 34 or less. Brisbane is 14-2 with a half time lead, while last week was the 1st time in 8 matches that the Broncos were able to overcome a half time deficit. The Broncos have scored the 1st points of the match in 17 of their 24 matches (12 tries and 5 penalty goals) and no side has opened the scoring with a penalty goal more often than Brisbane and they also took this option in 2 of their Finals matches in 2015. Brisbane has also scored the 1st try of the match in the last 6 meetings with the Titans. Corey Oates is the Broncos leading try scorer with 15 and 10 of those have been scored at Suncorp Stadium, while Milford and Roberts are tied for 2nd with 12 each. Brisbane has won 4 from 4 at home this season under Gerard Sutton, while the home side has covered the last 8 straight with Sutton in charge. Night matches refereed by Sutton have gone 9-4 in favour of the Under. Glenn (groin), Andrew McCullough (ankle) and Josh McGuire all trained strongly through captains run Thursday, but Opacic is a late out with Kahu shifting to left centre and Pearson coming in on the wing. Expect the Broncos to be more serious here this week and we see a finals type approach, as opposed to the complacent carefree offering we got last Thursday night. In to a sudden death game, significant advantage playing at home and healthy long term hold over the Titans they should be very hard to beat. Titans have been very plucky but could well have missed the finals, come off a distant away game to Townsville into another away contest. The Broncos are 10 wins from 12 against sides in the bottom half of the ladder and have a dominant long term record over the Titans and have won 12 of the last 14 H2H when at home (Suncorp, Brisbane) including the last 9 straight, and notably the last 7 by margins of 14 or more. The Broncos also have a very warm record when 10 or more pt handicap favs at home covering 10 of teh last 14 such occasions. Conversely the Titans record this season against top 8 sides has been poor with just 2 wins from 11 contests. We saw last week that the gap was around 16 points between the Cowboys sitting 4th into the Titans, I expect this might be something similar. The key to the Broncos here is getting into their groove early, completing with high numbers, low errors, play field position and take any advantage that comes their way. They need to play with some tempo, some ruck speed, off loads and look to move the Titans forwards around, something very similar to what they did to the Storm two weeks ago. The Titans can open up through the middle, and can get lazy lacking sides ways agility which should play to McCullough, Hunt and Milford playing direct with Boyd in support. The Titans will want to mix up a game of arm wrestle, but when in the attacking zone look to Taylor, Roberts and Hayne adding a moment of skill and line break. When on teh Broncos have had a decided defensive edge and can be hard to crack, into a finals game where we are playing for keeps I’m expecting that they aim up with something similar. Happy to bet the Broncos up to -10 which can be found in a few places. The game circumstances all look right for them here, at home, showed some real quality 10 days ago and what their potential is, good record against the Titans and those of similar quality in against a team who have limped into the finals and look a level of two below whats required here. The Green Machine will look to keep rolling along when the take on the misfiring Sharks at what will be a hostile environment at GIO Stadium. The Raiders have plenty of momentum and are 1 of, if not, the form team heading into the Finals Series and a win over Cronulla will see them make their 1st Preliminary Final since 1997. The Sharks hold a 35-31 all-time advantage over the Raiders and they also have an exceptional record at GIO Stadium, winning 9 of the last 12 clashes. In fact, the home ground advantage has meant little between these sides, with the away team winning 8 of the previous 10 match ups, while wins have been shared equally from the last 16 meetings. The last time these 2 sides met in a Final was back in 2012 at GIO Stadium, the Raiders ran out easy winners on that day, where Josh Papalli became a human missile, with continuous attacks towards the ribs of Paul Gallen, expect this to continue. The Raiders have won 10 straight and another win this week will see them equal a club record of 11 consecutive wins, a record that has stood for more than 20 years. They are also unbeaten at home since Round 8, winning 8 in a row. Canberra stormed home to finish 2nd after 26 Rounds and only once all season have they been positioned out of the Top 8. 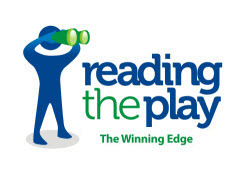 They have the best attacking record in the NRL, scoring 688 points (a new club record) at an average of 28.67 PPG, while they were 7th in defence, conceding 456 points at an average of 19. Their 232 point differential was also the 2nd best in the league. The Raiders have been a point scoring machine in 2016 and have scored 26 points or more in 12 of their last 14 and they are the only side in the competition to have scored more than 100 tries for the season. They are 16-8 ATS, which is equal best with the Titans and have covered in 11 of their last 14, while they have covered in 5 of their last 7 when laying a small start at home. In TMP’s they have had more Overs results than any other side in the competition, producing an 18-6 result, with 11 of their last 13 finishing that way, while high scoring affairs have been the norm against the Sharks, with 9 of the last 10 totaling 40 or more. Canberra is unbeaten in their last 12 matches with a half time lead, while they have overcome a half time deficit in 4 of 9. Canberra has scored the 1st try of the match in 5 of their last 6, while they have scored the last try of the match in their last 9 straight. Jordan Rapana is the Raiders leading try scorer with 20 and he has scored 4 tries in his last 4 games against the Sharks. After setting a new club record of 15 wins, the Sharks have now won only 1 of their last 6. Despite their poor run home, they still finished the regular season in 3rd spot, their best finish since 2008. Like the Raiders, the Sharks had a 17-6-1 record at the conclusion of 26 Rounds. They ranked 3rd in both attack and defence, while their differential rated 4th. Cronulla have not won an away game since Round 19, suffering 1 draw and 3 losses since then, while they have also failed to win their last 3 against a Top 8 opponent. The Sharks are 13-11 ATS and have failed to cover in their 5 of their last 6 and their last 4 straight away from home, while they have a 15-15 record since 2014 when covering as a road dog. In TMP’s they are 13-11 Under but have gone Over in 3 of their last 5, while they are 14-8 Over in night games away from home since 2014. The Sharks have won 12 of 15 with a half time lead, while they have overcome a half time deficit in 4 of 8. A Sharks try has been the 1st scoring play in 9 of the last 12 clashes with the Raiders, while they have opened the scoring with a penalty goal in their last 2 matches against a Top 4 opponent. Valentine Holmes is Cronulla’s leading try scorer with 18 but he has scored only 2 tries from his last 5 games, his driest spell since the opening 5 Rounds. The home team has won the last 6 matches under Matt Cecchin, while they have covered a line in the last 5. Home teams laying a small start have also won and covered in 8 of 10 under Cecchin in 2016. The half time leader has won 11 of the last 12 clashes, while 5 of the last 6 clashes at GIO Stadium have been decided by a margin of 13+. I think the Sharks are in free fall winning just 1 of their last 6 games. After weeks of speculation of possibly finishing 1st, then maybe 2nd they now finish 3rd and have an away game at a dam tough venue for a semi final, with a full house of screaming Raiders fans, but they will carry the knowledge that they have won 9 of their last 12 at the ground. The Raiders are full of confidence and belief, are rolling along week in to the next with momentum, they dusted up the Sharks at Cronulla some weeks ago and with that same power and attack game plan can do the same here. They have now won 10 straight and importantly won their last 8 home games. If we take a closer look at the Sharks form line through recent months it offers some enlightenment behind their poor form. Across their last 8 games they have 3 wins – against the two teams who finished 15th and 16th on the table (Roosters twice and Knights). Across their last 6 games they have 1 win and a draw, and over the last month have really looked out of sorts lacking confidence and quality execution. They can improve, their best form was very good but quite some months ago, time will tell but I just wonder if Coach Flanagan has farked up their post Origin physical plan and unlike the Storm, Cowboys and Broncos who have pumped the hard yards of fitness and tapering into their playing squad and are now coming out the other side on the up into the finals the Sharks have messed this up? They had some moments last week where they were closer, but again their execution was poor, and then defensively they let through some very soft tries. Flanagan’s whole body language has also looked very poor for many weeks now as well. I was some what staggered to watch him in the dressing room vs Rabbits, and then post game his language, and then we have seen similar since. He has looked flustered and lost, without answers, and through recent days is mow talking up how they have had a great season finishing top 4, nearly winning the minor premiership and their winning streak of 16 games. All but sounding like a guy trying to justify that regardless of what happens now its been a great year, amazing, and all but defeatist. They now travel two weeks in a row, and both to dam tough away venues. Canberra will be absolutely pumping with 27,000 full house mad screaming excited Raiders fans. We were with the Raiders for their upset win at Shark park some weeks ago when they ran roughshod through the middle with their big men and with that strong yardage game found room and advantage attacking the edges in particular to their favoured right. I see something similar happening again. Through the first two thirds of the season the Raiders were prone to clocking in and out of games but as their momentum, confidence and belief has build and grown this has become far less an issue. Whacking the Sharks and then Storm can do that for you, and now they finish 2nd spot with a home semi and even with Austin missing feel bullet proof. They had some lazy moments against the Eagles, to be expected but still won comfortably and then steam rolled through a weak Tigers offering. They back themselves, and believe in themselves, its stuff thats hard to buy. The Sharks are now somewhat up against the wall and could pull a big effort out, but they are hard to have and everything about their form line right now is terrible. I lean far more strongly to them being whacked again and possibly by a margin. I’m not sure if the Raiders can get past the final weeks of this comp, but gee they are up to their ears in it right now. They can match it in the middle, they can hurt you physically, they then have some attacking smarts and a deep bench. The Sharks need discipline and their halves and Barba to fire, and play plenty of ball play and attack. The Minor Premiers of 2016 host the Premiers of 2015 in what shapes as an absolute block buster in a match that could well be a dress rehearsal for the Grand Final in 3 weeks’ time. Melbourne holds a 22-10 all-time advantage over the Cowboys, including 2 wins this season. The Cowboys however, will have no fears about travelling to AAMI Park after recording wins in 2 of their last 3 visits to the venue, including a 20 point victory in last year’s Preliminary Final, while they have also won both previous Finals clashes. For the 2nd year in a row, the Cowboys finished in the Top 4 at the conclusion of the regular season, while it’s the 6th straight year that they have qualified for the Finals. They spent 20 weeks in the Top 4, holding down the Number 1 spot for just 1 week, while they were never positioned out of the Top 8. After 26 Rounds they have a 15-9 win loss record, they have the 2nd best attack, scoring 584 points at an average of 24.3, while they were ranked 3rd in defence, conceding 355 points at an average of 14.8. Their 229 point differential also rated 3rd . They come into this match off the back of 3 straight wins, with 2 of those coming against their Top 8 counterparts. The Cowboys are 13-11 ATS, with a 5-7 cover record on the road, while they are 15-8 since 2014 when covering as an underdog. They have also covered in 4 of their last 5 Finals matches. In TMP’s they are 14-10 in favour of the Under, with an 8-4 Under record on the road, including 7 of their last 8, while 5 of the last 6 clashes with Melbourne have also finished Under, with none of them topping 35. Finals matches since 2014 are also in heavy favour of the Unders, producing a 12-6 result. The Cowboys have been great front runners, winning 14 of 14 with a half time lead, while they have lost 8 of 9 when trailing at the break. They are the Number 1 side in the comp at scoring the 1st try of the match, bagging the 1st 4 pointer on 17 occasions. A winger, fullback or centre has been the Cowboys 1 st try scorer in 7 of the last 8 clashes with the Storm. Antonio Winterstein is the Cowboys leading try scorer with 12, Feldt and O’Neill are equal 2nd with 11, while Gavin Cooper ranks next with 10 and he has scored 3 tries in his last 3 matches against the Storm. Melbourne has been the bench mark in 2016, spending 18 weeks in the Top 2 and like the Cowboys, they have never been positioned out of the Top 8. They too are also contesting their 6th consecutive Finals Series and only once during that period have they finished the regular season out of the Top 4. They come into this match with only 2 wins from their last 4 but had won 6 straight prior. Melbourne won 19 of their 24 matches to secure their 1 st Minor Premiership since 2011. 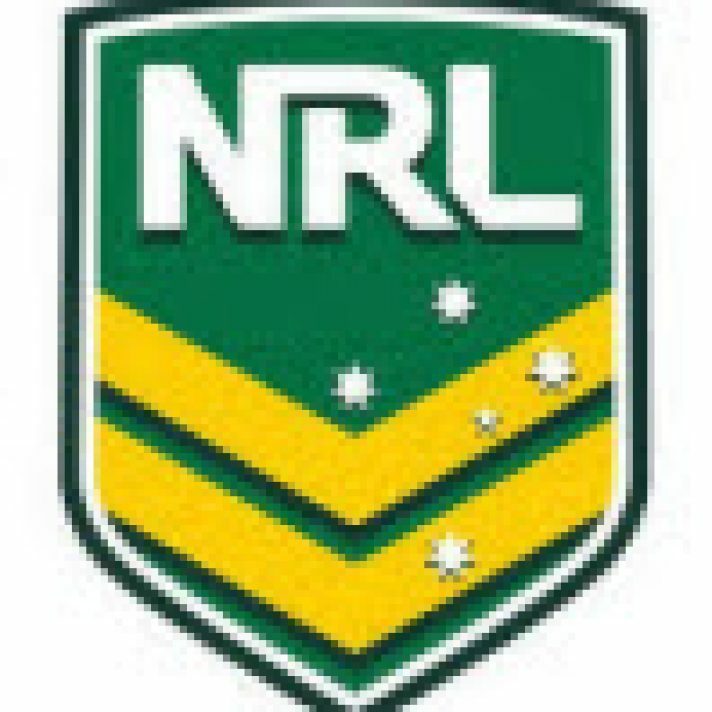 Their defensive efforts had them ranking at the top of the charts, conceding 302 points at an average of 12.5, while their 261 point differential was also the best in the NRL. Their 563 points in attack ranked 4th. The Storm is also 13-11 ATS, with a 6-6 cover record at home, while they have covered in 10 of their last 14 when conceding a start of less than 6 points. In TMP’s they are the Number 1 Unders side in the NRL, with a 17-7 result and have finished that way in 6 of their last 8. They have played 5 matches against their Top 4 counterparts and all 5 of those also finished Under, while 14 of their last 16 have finished Under when they have been favoured by less than 6 points. Melbourne has won 16 of 17 in 2016 with a half time lead, while they have overcome a half time deficit in 3 of 7. The Storm has scored the 1st try of the match on 14 occasions and they have gone on to win 13 of those. Suliasa Vunivalu is the NRL’s Number 1 try scorer with 22 tries in 18 matches since making his debut in Round 7, but he has only scored 1 try from his last 6 matches at AAMI Park. Only once in the previous 8 meetings have the Storm outscored the Cowboys in the 2nd half, while the Cowboys have scored the last try of the match in 5 of the last 6 encounters. The half time leader has won 21 of the last 22 clashes, while in 4 of the last 5 clashes the winning margin has been by single figures. In 8 of the last 12 Week 1 Finals the winning margin has been by 1-12 points. The home favourite has failed to cover a line in the previous 8 matches with Ben Cummins in charge, while night games are 11-5 Under with Cummins at the helm. Great clash. Storm heavily advantaged by 3rd week at home and now distinct home advantage, but they meet a well credentialed challenger who dusted them up in an important finals game 12 months ago. I think the winner of this game is then the likely title winner, so much to play for with the advantage of the week off and then the likely softer side of the draw. I’m with the Cowboys, likely wet conditions only likely to make this more of an a physical arm wrestle but they look like they are coming right into the final weeks, they have the power game to match and beat the Storm through the middle, importantly they have the smarts and ball play to hurt them where they have some defensive weakness on their edges. Looks close and tight, but I want to have a small interest with the visitors. Bulldogs have been a mess for weeks, Kasanio will be a key in but gee they are hard to have. Panthers just keep getting the job done, and have positive ball play, skill and speed to hurt the Bulldogs. I’m sure the Bulldogs will be focused and hell bent on defence here, and look to turn this into a slow temp’d physical arm wrestle with their younger opponents. But if the the Panthers can play with some smarts, play off load and second phase play it will negate this and open things up and potentially lad to another issue for the Bulldogs, that of chasing from behind. Given there style is to try and hold an opponent into a tight arm wrestle and wear you down to a result if they are jumped on the scoreboard they struggle. I hope we get some open footy here, some attack and points, but it is a semi final. The Panthers are young and inexperienced and need to hold their head, but they have been a very different side since Nathan Cleary has settled in at #7, he is a class act and given them the direction and balance they required. I think he is again the different here and can lead an attack focused advantage. Like the Panthers. It’s not clear cut but I think they are suited here with their game style, off load and support play and the smarts of the #7 and #6. Published on September 4, 2016 in NRL. Published on 6th April 2016. Published on 4th October 2013.